Any newly established business owner will experience highs and lows in their finances. Throwing yourself in the deep end by giving up an employed role and taking your entire career into your own hands can be a daunting thing to do and every now and then, things just won’t work out. Misjudgements, poor advice, a sudden change in market trends, and other factors can all contribute towards harder financial times. But don’t worry. You can make it past this. You just need to tide yourself over until you can pull yourself out of the red and back into the black. The most difficult thing, however, is keeping on top of the everyday essentials while you do so. Luckily, there are companies and agencies out there who specialize in helping those in financial need. Here are a few ways to get your hands on everything you need, even with a tight budget. Sadly, health care in this country isn’t free. So, if you have an ongoing condition that requires regular prescriptions, or experience an unfortunate sudden illness or injury, you could end up coughing up a whole lot of cash to get the treatment and care that you need. Luckily, studies have been undertaken about patient compliance and have found that prescribing medicine only plays a small role in the picture when it comes to keeping the population healthy. Only half of administered prescriptions are filled annually and even fewer are actually taken as prescribed. A large reason behind this? The cost. Many people can’t afford the expensive tablets or liquids that they are supposed to consume regularly. This is where agencies such as Rx Outreach come into play. They help to provide access to affordable medication to low income or underprivileged individuals in their times of need. So, don’t go without. Contact the right people who will be able to get you what you need at a reasonable price. Sure, we may often think that we can skip a meal here or there. This may be true if it’s just the odd occasion. But if you’re regularly missing meals on a daily or every-other-day basis, chances are that this will take a serious toll on your health after a short while. There are plenty of ways to make meals more affordable, ensuring that you can afford three a day without entirely losing out on nutrition. Try opting for vegetarian or vegan options. Not only is meat relatively expensive, but vegetable based dishes will get a whole lot more nutrients, vitamins, and minerals into your system at a much lower cost. Try making foods that you can freeze too. Options such as vegetable soup can easily be made in bulk for cheap, frozen in single use Tupperware containers and consumed individually at a later date. These may just be two parts of your life, but sufficient healthy food and necessary medication are essential for your health and well-being. How are you meant to get back on top of things without them? Make sure that you gain access to both with the above simple steps. I hope you enjoyed this article about how to get in your essentials when times are tough and you're on a very tight budget. 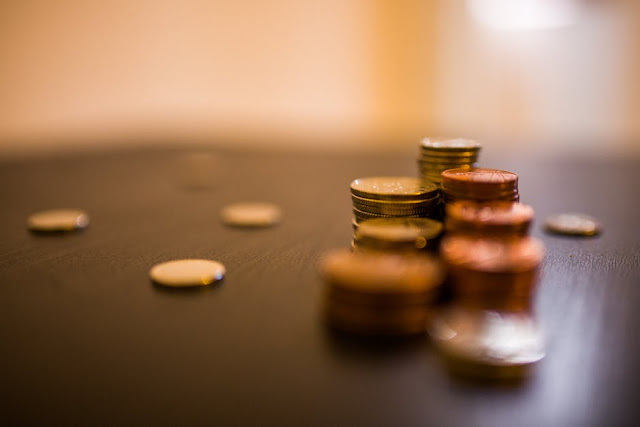 Interested in more articles about frugal finances?